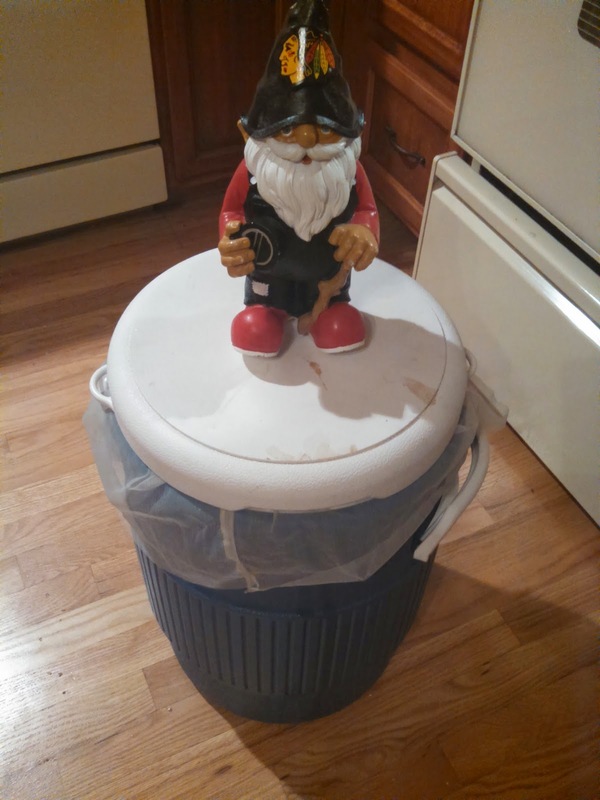 ABV = 3.3%, OG = 1.030, Pounds of Grains = 2.75. 2.75 pounds of grain does not seem like very much. 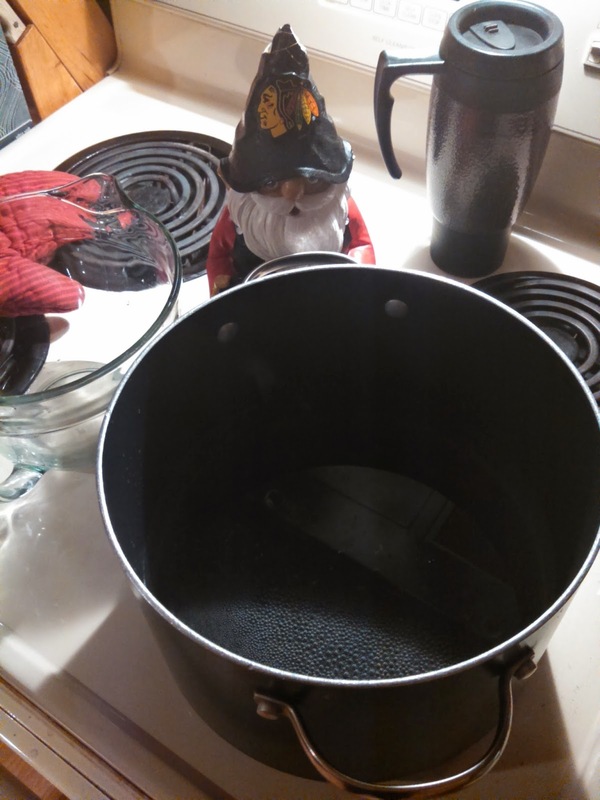 I was able to heat of the strike water on my kitchen stove, which sure isn't typical. 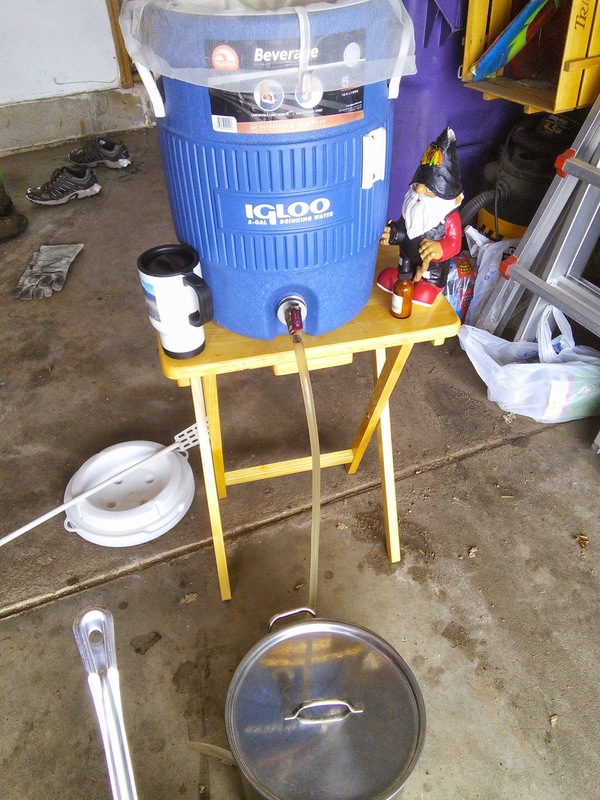 I was able to use my small mash tun. Everything went pretty well. I noticed that my recipe's pre-boil gravity is the same as my OG, which means either I don't have an evaporation rate set in beer smith for this small-batch profile, or beer smith has a bug. Probably my mistake. Of course, as you might remember from First Brew of 2015: Arctic Vortex, I have a new refractometer, so throughout the boil I was quickly able to measure the gravity and dilute the boil wort as I went along. 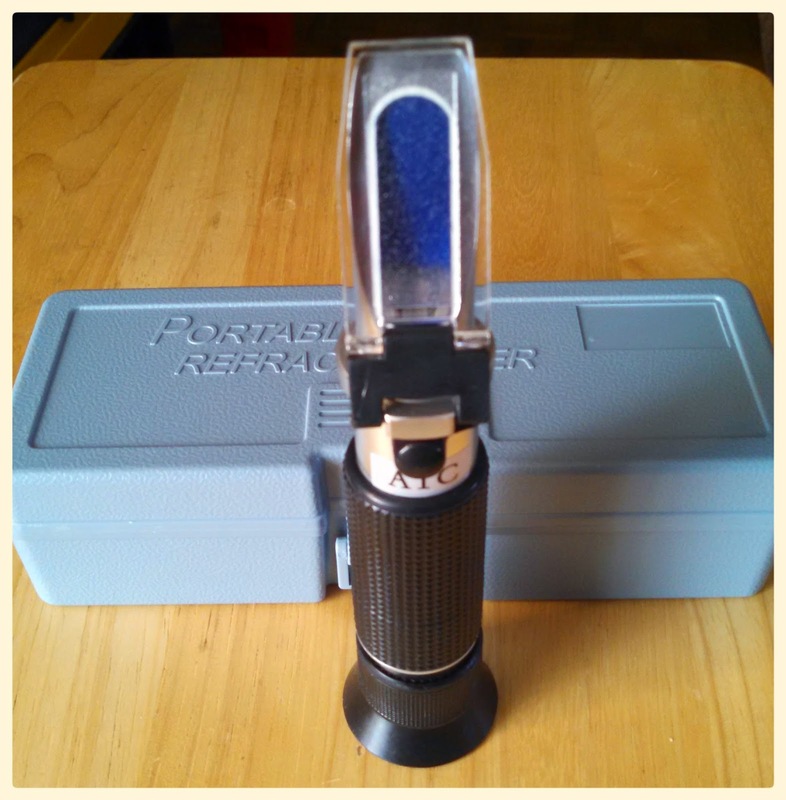 Thank goodness for the refractometer. Apparently I was able to adjust last time without it, but it sure was nice to have it this time. 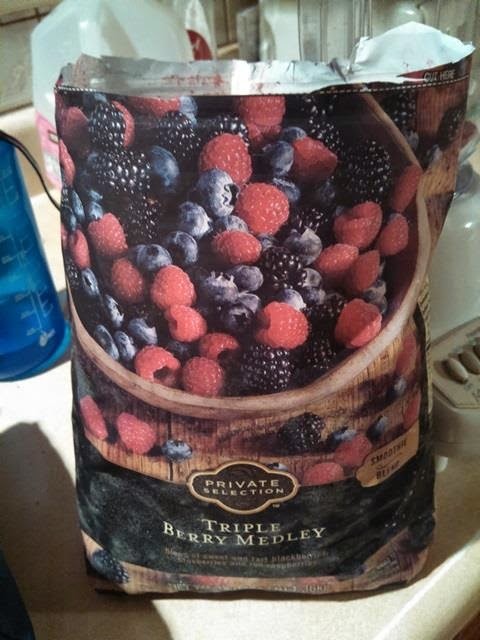 To make this a Berry Weiße, I added frozen mixed berries to the Mr. Beer fermentor. I poured the wort on top of those and then pitched the hydrated dry yeast into that. I have not really looked at the fermentation since Sunday, but I am trusting that the yeast are doing their job. Bio-chemistry is so cool! Just like with Gruntled Sour Weiße, I will be adding lactic acid to the beer at bottling time. I plan on adding less than I did for that batch. I might even end up being a sour beer that my wife can handle. This sounds interesting. Can't wait to see the result post. Not sure how I missed your comment until now, Allen. I assume that your batch was bigger than mine. Mine are carbonating right now, and will be for another week. After that I'll chill a couple and let you know how they turn out. The sample at bottling time has a nice berry flavor without seeming to fruity. Should be a nice lie alcohol beer.